When it comes to booking and ordering products and services, there is an app for just about everything, from transport to hotels, tickets to takeaway. Yet when trying to arrange a hair appointment, most people revert to picking up the phone. This is because there are relatively few salon-booking apps in the UK. Mat Braddy, former chief marketing officer at takeaway service Just Eat, believes this is a problem that needs to be solved. "It strikes me as insane that you can’t book a haircut on an app," Braddy tells Campaign. "You either ring up and you’ve left it too late or you text your stylist and the back and forth is a kerfuffle. The whole process is really inefficient." Making a phone call may be one of the least used functions on a phone today but it isn’t the biggest inconvenience, surely? Braddy says his company caters for people who have left it to the last minute to book a much-needed trim – and in today’s on-demand digital world, that is most of us. "We’ve been trained by Amazon Prime and Uber that we don’t need to plan ahead for stuff," Braddy continues. "If I want a hotel, rather than booking weeks in advance, I can find one on HotelTonight." Flush from a £1.2m investment round, which included angel investor and New Look founder Tom Singh, Bethnal Green-based Rock Pampers Scissors has set its sights on London expansion, with about 200 salons already on its books, according to Braddy. Rock Pamper Scissors launched in 2013 in Leeds "off the main stage", where it has about 1,700 salons on its books. It started out as a listings service but Braddy soon realised that finding a salon is not the hard part: walk through any city centre and there are dozens of them. He did, however, discover that most salons had "pretty-looking websites" that were "terrible" to book with. are also worried about a stylist getting it wrong. 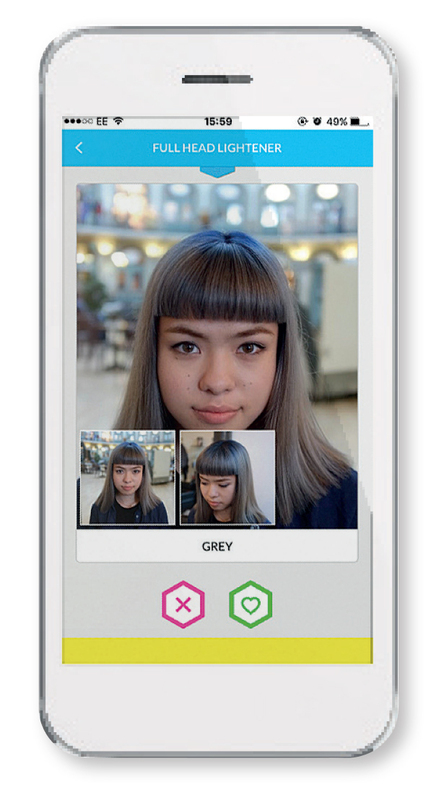 One of Rock Pamper Scissors’ USPs is a function that enables stylists to share photos of their work on the app. This means customers can browse and choose a stylist based on their expertise and flair. Braddy says this will also generate fans for stylists: "You choose where you get your haircut because your personal relationship is with stylists, not the salon." Rock Pamper Scissors makes money by taking a 15% commission on every appointment booked through the app. While this may seem a lot, Braddy says the app helps stylists fill up quiet times such as weekday mid-mornings and afternoons. The app is clearly convenient for anyone looking for a new stylist on the hoof, but how will Rock Pamper Scissors convince people who have long-term relationships with their stylists to hang up the phone and start fiddling around with an app? They can still use the phone, Braddy says, but they also have the option of using Rock Pamper Scissors when they are caught short. Also, precisely because customers are often friends with their stylists, they might be more willing to let them share their hairdo on the app to help them attract more customers. Babar Javed, senior innovation consultant at Fearlessly Frank, thinks Rock Pamper Scissors could help build relationships between stylists and customers "like a style Tinder", reducing any feelings of intimidation new customers might have. "We have had a good year of growth for very little expenditure"
"It’s about new relationships and is an easy way to connect with people. Over time, you can test, cultivate and develop that relationship," Javed says. "It’s a way of breaking down entry barriers so people are more likely to come in." 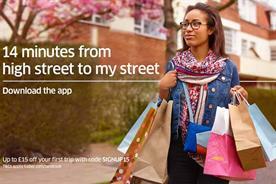 He adds that the app also taps into the rise of the connected consumer – who also happens to be more style-conscious, particularly those in London. Apart from some recent PR activity, marketing for Rock Pamper Scissors has been minimal. In London, Braddy plans to continue the approach he took in Leeds, making Rock Pamper Scissors seem like a big brand by focusing on very concentrated areas. "In central Leeds, we have had a good year of growth for very little expenditure," he explains. When its network of salons is large enough, it will then consider traditional advertising channels, such as the London Underground and radio. Now out of the bootstrap phase, Braddy is eyeing gradual growth – something he clearly knows about, having joined Just Eat in 2009 as the top UK marketer and presided over the brand’s £1.5bn IPO. One of the key lessons Braddy learned at Just Eat is that "there’s no such thing as overnight success" when it comes to marketing products. "You have to have a strong purpose and do a good job for the market you’re building in," he says. "That’s where Groupon fell down. It was aggressive, taking too much money. Groupon was all out for itself. But we are all out for the stylists."